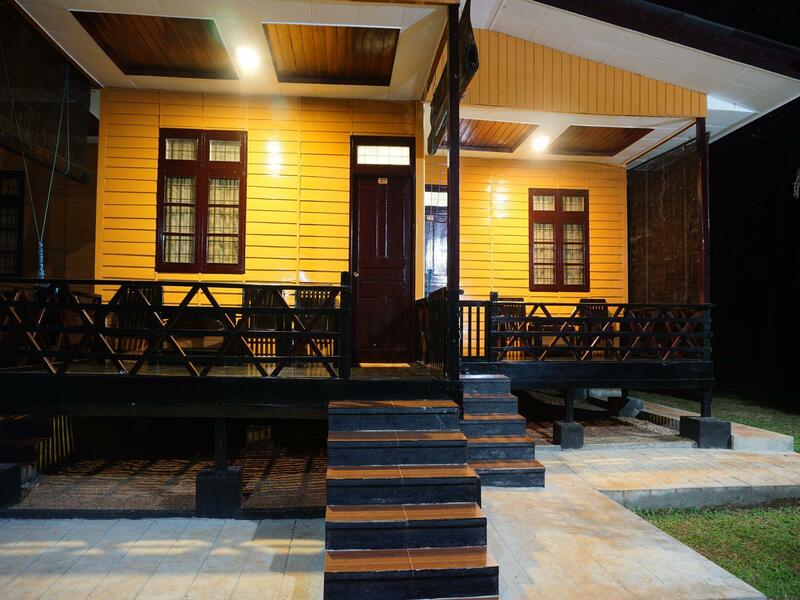 Heeft u een vraag voor Thuwunna Bumi Mountain View Resort? Gunstig gelegen in Kyaikhtiyo, is het Thuwunna Bumi Mountain View Resort een goede uitvalsbasis om deze levendige stad te ontdekken. Het levendige stadscentrum is slechts 2.4 km verwijderd. Voor mensen die er op uit willen zijn Kinpun Village, Golden Rock slechts enkele van de attracties die beschikbaar zijn voor bezoekers. De faciliteiten en diensten, geboden door het Thuwunna Bumi Mountain View Resort, garanderen een plezierig verblijf voor gasten. Maak in het hotel gebruik van een selectie topklasse faciliteiten, zoals 24-uur roomservice, 24-uur beveiliging, schrijn, dagelijkse schoonmaak, openhaard. Alle accommodaties beschikken over doordachte voorzieningen om een ongeëvenaard gevoel van comfort te garanderen. Het hotel biedt een uitstekende variëteit aan recreatieve faciliteiten, inclusief tuin. Het Thuwunna Bumi Mountain View Resort is een slimme keuze voor mensen die reizen naar Kyaikhtiyo: een ontspannen verblijf is gegarandeerd. We booked this hotel based on our guide's recommendation before we arrive in Kyaiktiyo. Room floor is not so clean, dust under your feet. No WiFi inside your room is a big No no for us (you know we young people don't watch TV but open youtube), bathroom is clean, but the sink is leaking if you use it too long. Breakfast is good. We don't have chance to try the swimming pool as we arrive at night and check-out early morning. Location is far from Golden Rock, but it's very quiet and serene, you better stay here 2-3 nights to enjoy the surrounding. The pool in and by itself is worth spending the day at this resort. Keep in mind that it is located in between the two towns between the train station and base camp for the golden rock, so there is absolutely nothing else around unless you take a taxi to one of the two towns. FYI It looks close on the map, but it takes at least 70 minutes to reach the golden rock from here if you use a taxi/public shuttle combo. It is only a few minutes drive to the train station. Breakfast was all vegetarian, mostly noodles, toast and watermelon, but they have black black coffee, which is a rarity in Myanmar. While I don't recommend the breakfast, they have a lot of options for lunch and dinner, I had the pork salad which was very tasty and the waiters were friendly. Suggestion to the hotel: make the curtains in the room light proof. Suggestion for the guest: they have lights outside the rooms which shine directly through the curtains so bring your eyeshades. though the room condition was not good, swimming pool and the staff were very kind and helpful. swimming with seeing mountains was a fantastic experience. Room floor is the ply-wood floor that already old, need to walk slowly in the room, if walk a little fast, cause the noise from floor. Aircon also not cool. Swimming pool a little small for more people. 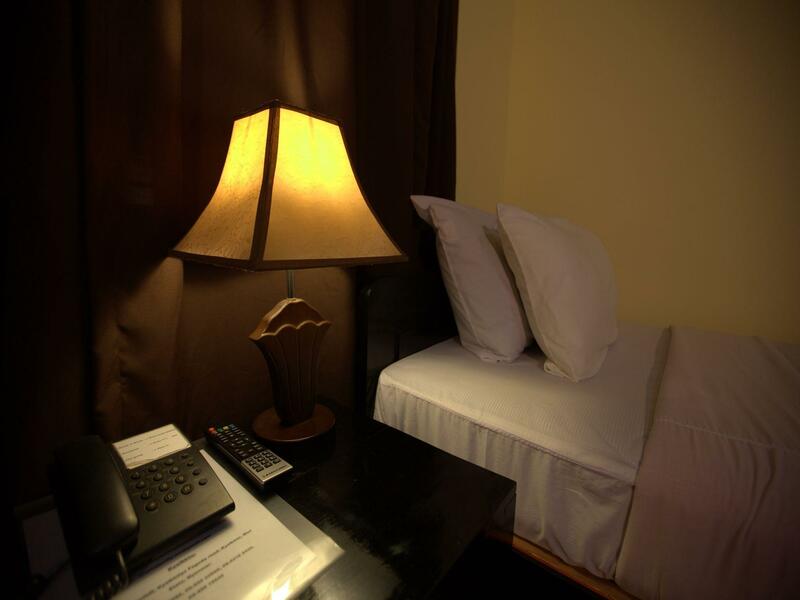 We checked in late after coming back from golden rock. I should have booked for one more night to relax and enjoy the facility. The swimming pool is small but looked lovely! Nice and enthusiastic staffs. I lost my glasses in the pool area a night before and they found it in the pool the next morning and returned it back to me. Thanks to the pool staff. I visited in the low season and had the pool all to myself for two days. An extremely peaceful wind down to my month travelling the country. Great food and service. A delightful spot away from the chaotic streets. The wait staff would benefit from some English lessons. Stunning location on the side of a forested hill with sweeping views over an infinity pool to free forest and more distant blue mountain ridges. Beautifully layer out large garden style compound with plenty of mature trees, flowers, birds and butterflies amid well Placed garden tables/ seating and viewing places. Lovely open restaurant with attentive staff and delicious food - less oily than elsewhere in Mon State. Very helpful staff in all areas - Room, reception, bar etc. Spotless pool with beautiful view. Overall, lack of hot water and no English language TV station are very minor complaints. Highly recommended. The place itself is a little far from town but well worth it. The pool is amazing and the view is fantastic. The rooms were clean and nice. If you need help the staff is willing to help and the security guard at the entrance is wonderful if you need to get a motorbike or transportation. Everything was great, there is also a fire pit and bar at night which was cool. The only thing I could say is the restaurant was a little pricey but not too bad. The fresh juice at the restaurant is great. I would recommend this hotel! Resort is nice however I got poison by food, which changed my plan to visit golden rock. I will come back again because the place is good on the mountain and infinite swimming pool Staff does not speak good english, but willing to help with sometime. Large, well-maintained resort with comfortable cabins and all amenities. Beautiful natural location with peace and quiet. Helpful, well-trained staff. Delicious food. Probably one of the best value for money stays I have ever experienced. This is a resort mostly used as a getaway by upper middle class families from Yangon. It is a beautiful peaceful place a bit out of town, with sweeping mountain views. The restaurant serves good, clean and reasonably priced food. The service is impeccable, very high standard. Everything I needed was taken care of seamlessly. 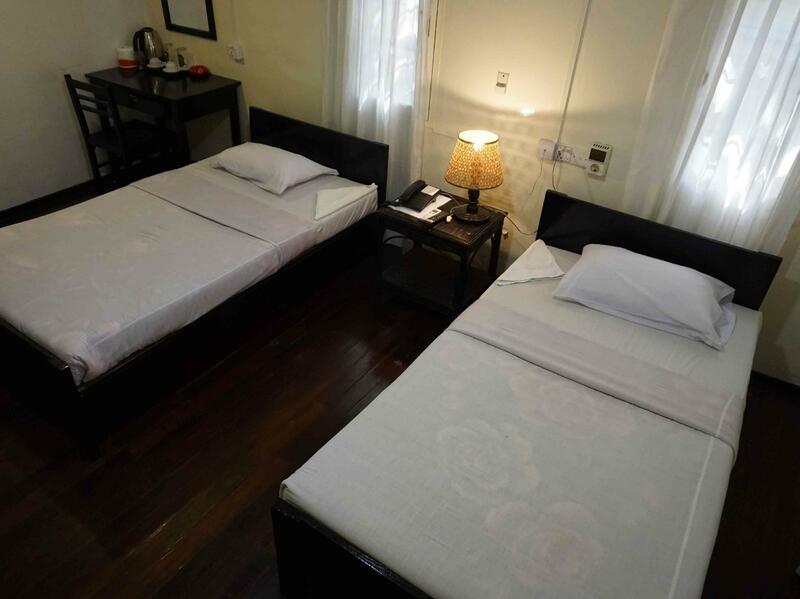 The room is actually an entire cabin, equipped with all the conveniences. WiFi, while available, was not fast or reliable; however, this is almost an advantage because I had an excuse not to work! You won't want to with the restaurant, excellent bar and completely spotless infinity pool to enjoy. Don't let the low price fool you. This place is an absolute gem. Book without hesitation! If you contact the hotel in advance they can help tell the bus driver where to let you off. The hotel is about 15km out of town, so you will overshoot it if you take the bus to its terminus. nice hotel, there is a bar 20 meters to the hotel rooms with music till 23:00. the hotel is far away from everything, but no problem to get to kin pun. staff was very friendly, but almost no English. if you have questions about golden rock or a bus, you have to arrange by your self. Lovely garden with plenty of nice seats to chill out, very clean rooms, modern and very clean bathroom, great set-up with the little cottages spread around in the garden, nice location. 15-20 minutes drive from Kinpun, but no problem to arrange taxi's. Lovely staff. One of the staff members arranged a great trip around the area to visit some villages, a monastry, a village show, and we were invited for tea by one of the staff member's friends. is good for relaxing amid forest. One can also explore a village trip to nearby and also a small hiking in nearby pagoda. The resort is located in an orchard quite far from the golden rock, but close enough to the town Kyaikto. We took the late train from Yangon and stayed here during our first night. Staff is very friendly, rooms a bit old, breakfast ok.